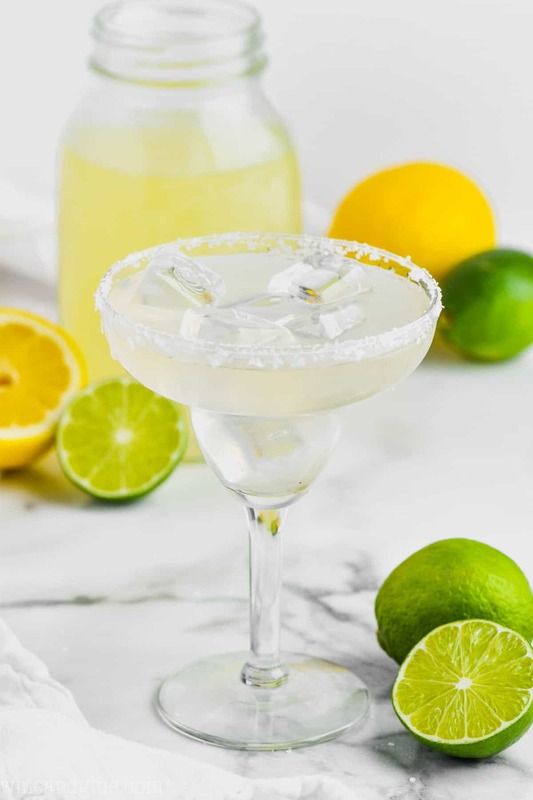 This Sweet and Sour Mix is easy to make with only three ingredients and it is the key to making the BEST margaritas! It keeps in the refrigerator for about a week and makes two pitchers of margaritas. Or you can keep it in the freezer for a month! WHAT IS THE KEY TO THE PERFECT MARGARITA? With Cinco de Mayo just around the corner, I know a lot of you are going to be making big ole pitchers of margaritas. I mean, I know I am. But before you get there, there is a really important step you need to do: Make a big batch of this Sweet and Sour Mix! SO WHAT IS SWEET AND SOUR MIX? 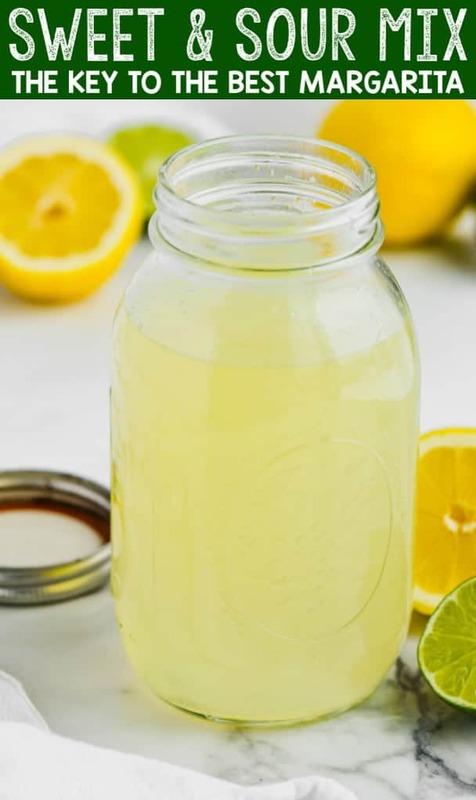 This is basically a lemon-lime simple syrup, combining sugar and water with lime and lemon juice. It is the key to my amazing margaritas that has so many great reviews! It’s also makes my Amaretto Sour the amazing cocktail that it is! DOES SWEET AND SOUR MIX CONTAIN ALCOHOL? 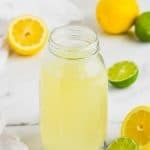 Though it is used to make so many great cocktails, sweet and sour drink mix itself does not have any alcohol in it. It would be a great ingredient to use if you are going to make Virgin Margaritas. WHAT DRINKS DO YOU MAKE WITH SWEET AND SOUR MIX? As mentioned above, you can make my margarita recipe. It’s also amazing in my Strawberry Margaritas. I love it in this great Amaretto Sour. This is amazing in a Long Island Iced Tea. If you live in Wisconsin, you might use it to make an Old Fashioned! Start with a cup of granulated sugar. Add water and simmer over medium heat until the sugar is completely dissolved. Next, add half a cup each of fresh lemon and lime juice. 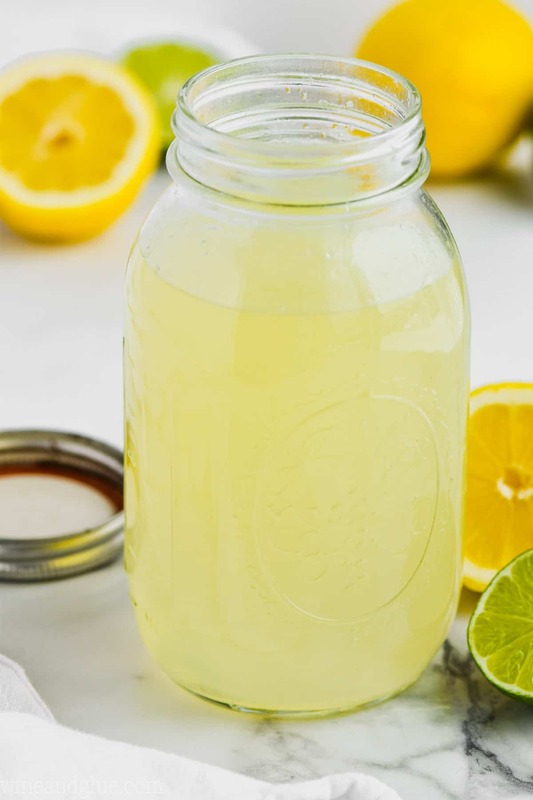 You’ll need about seven plump lemons and limes. Helpful tip alert! Microwave your fruit for about ten seconds and then roll on the counter with your hand to get those juices flowing. Your Sweet and Sour Mix is now ready! You can store it in a sealed container in the fridge for about a week, or even longer in the freezer. 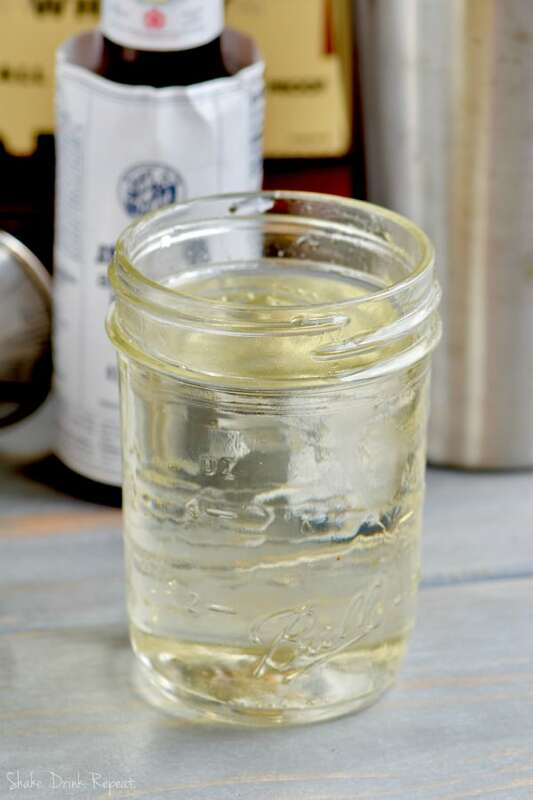 This recipe makes enough for about 2 pitchers of margaritas, using 1 1/4 cup for each pitcher. Simmer 2 cups of water and 1 cup of granulated sugar over medium heat until it is fully dissolved. Pour it into a jar and let it come to room temperature. 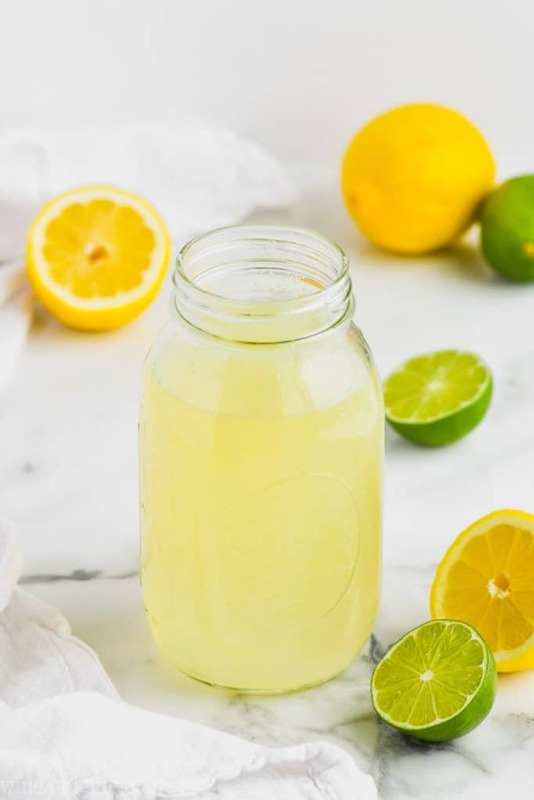 Add 1/2 cup of lemon juice and 1/2 cup lime juice. Store it in a sealed container for a week or for up to a month in the freezer. Calorie information is for 1 1/4 cup, what you need for one pitcher of margaritas. And of course I did not read instructions completely and dumped it all in the pan together. Will that affect the taste? So, I haven’t done that and can’t say for sure. But! It might be okay. 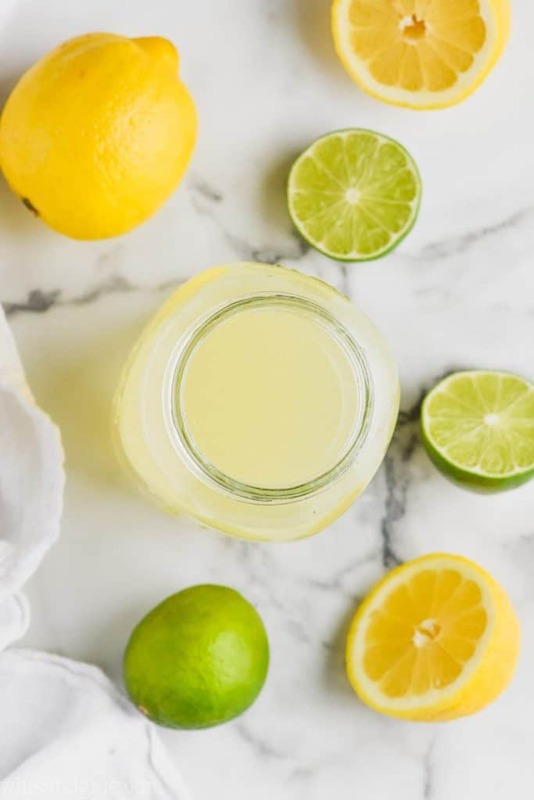 The lemon and lime juice don’t need to be cooked and cooking citrus can really change the taste of it. So that’s the concern. You might just have to taste it at the end and see if it is too bitter or has that great sweet and sour taste still.